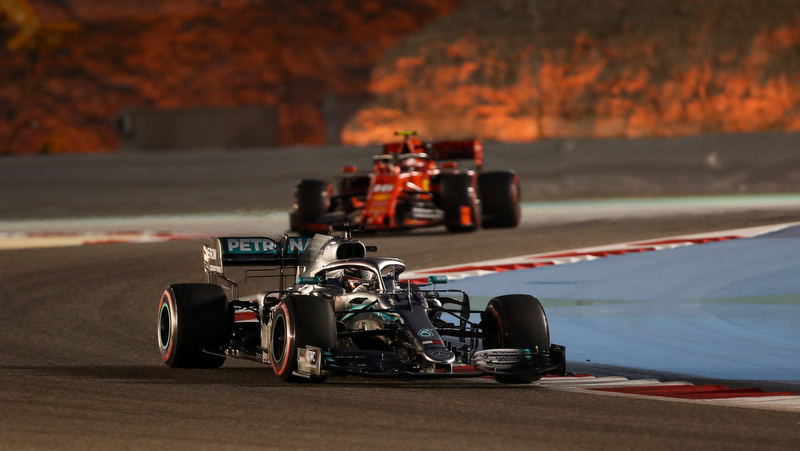 Lewis Hamilton wins the Bahrain Grand Prix after Charles Leclerc’s Ferrari experiences engine problems. Hamilton made quick work of the Monégasque driver, passing him on lap 48, and it took only another six laps for Valtteri Bottas to eliminate his 30-second deficit to Leclerc to deprive him of second place. However, Leclerc took some solace from Ferrari’s much improved showing after its disappointing performance in Melbourne two weeks earlier. But the last-named five drivers all benefitted from a torrid day for Renault after the French team mismanaged its drivers before watching two likely points finishes evaporate when both cars failed within seconds of each other.